While residents near the former Joe's Boathouse worry that its replacement will be popular – and noisy – others welcome the new, larger building. 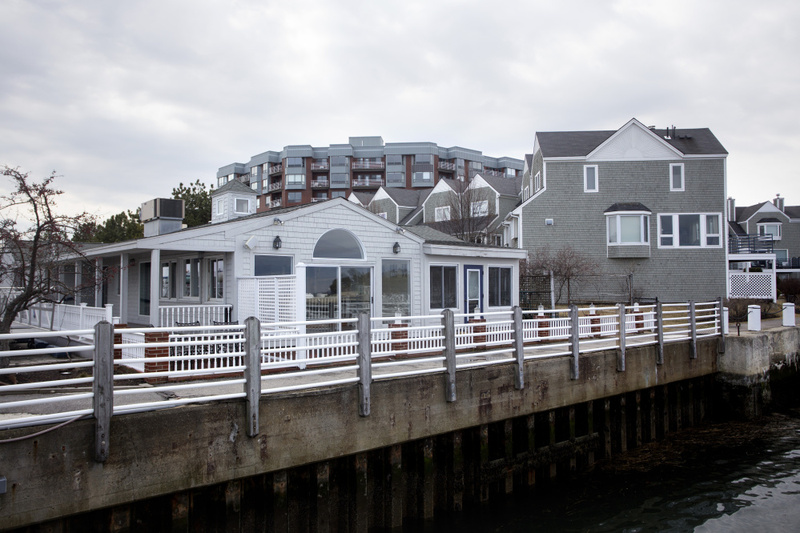 SOUTH PORTLAND — Port Harbor Marine is partnering with the owner of the Old Port Sea Grill in Portland to build an upscale waterfront restaurant at the city-owned Spring Point Marina that will offer sweeping views of Casco Bay. But while some welcome the planned replacement of the former Joe’s Boathouse Restaurant in a seaside community with only one other eatery on the water, residents who live next to the marina are concerned that a larger restaurant will draw more customers and create a host of problems for the neighborhood. The boat sales-and-service company, which leases and operates the marina for the city, received unanimous City Council approval Monday to move ahead with the project, which still requires code enforcement and Planning Board review. The modest, one-story restaurant that’s been closed since November would be replaced by a modern, two-story building with expansive windows and two decks overlooking the marina and the bay beyond. Several residents of the nearby Breakwater condominiums told the council they’re worried that a much larger restaurant with at least twice as much outdoor seating will increase noise, lighting and parking problems they’ve experienced in the past. They also questioned whether the council’s approval Monday night meant the project would escape further scrutiny. “I’m very worried that the City Council blessing is some form of approval that would affect the planning process,” said Jim Garland. Judy Kline said she misses Joe’s Boathouse, but she’s concerned about the size of the proposed restaurant building and its impact on nearby residents. City Manager Jim Gailey explained that Port Harbor Marine needed council permission to make improvements worth more than $20,000 and to pursue a lease with another restaurant tenant. Councilors acknowledged the neighbors’ concerns and assured them that the code enforcement and planning process would be as rigorous for this project as any other. 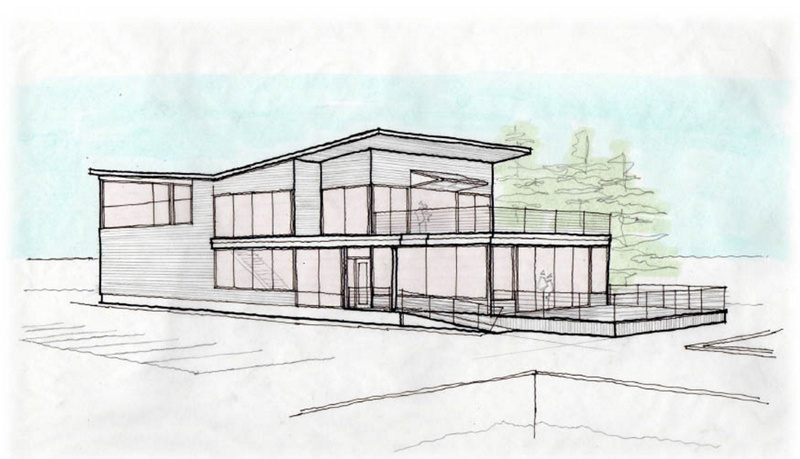 They urged the residents to present their concerns to the Planning Board, but there was clear support for the project in a seaside community that has only one other restaurant on the water. Rob Soucy, president of family-owned boat business, said his company has responded to neighbors’ concerns in the past and will continue to do so. He noted that while the existing building sits near the property line, the new building would be 20 feet from the property line to meet current building codes, which may reduce noise concerns. Soucy said the project would make the most of available parking on the 5-acre property. It would keep hours similar to Joe’s Boathouse, he said, staying open to 9 or 10 p.m., and there might be music, but volume would be controlled. The existing 3,514-square-foot building, which Port Harbor Marine owns, has a divided dining room and a small deck with five tables. It’s valued at $255,700 for tax purposes and had a fiscal 2016 tax bill of $4,450, according to the city assessor’s records. It includes bathroom and laundry facilities for marina guests, Soucy said. The proposed 9,125-square-foot, 172-seat restaurant building would have a first-floor dining room with table seating for 40 guests and 10 seats at a bar, according to concept plans designed by Briburn Architecture of Portland. The first-floor deck shows casual, lounge-style seating for 24 guests. On the second floor, there would be another dining room with table seating for 40 guests and 10 seats at a bar. The second-floor deck would have table seating for 36 guests and 12 seats at an outdoor bar. The proposed building also would include bathroom and laundry facilities for marina guests. Soucy wouldn’t say how much the new building might cost, but he acknowledged that it would be a substantial investment coming at a time when the company is negotiating with city officials to extend a 40-year lease for the marina property that’s up for renewal in 2020. “If we didn’t think we could come together with the city (on a lease extension), we wouldn’t be doing this,” Soucy said. 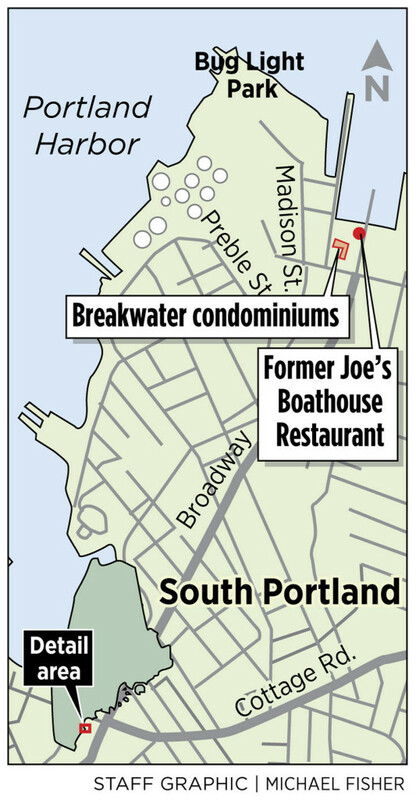 Soucy said the existing building attracted some interest after Joe’s Boathouse closed in November after 23 years at that location. But potential restaurant operators who checked out the space wound up talking about all the improvements they would have to make. The existing building started as office space for the marina business started by Soucy’s father, Bob. Later, Soucy’s mother, Joanne, turned it into a snack shack, where she served breakfast, fried clams, burgers and hot dogs. It was expanded in stages over the years to accommodate other uses and tenants, including Joe’s Boathouse, a surf-and-turf restaurant where dinner entrées ranged from a vegetarian linguine Provençal for $20 to lobster fettuccine for $26.95, according to its website. The company also wanted to find a restaurant operator who shared the company’s “passion for always improving and getting better,” Soucy said. That person is Laura Argitis, owner of the Old Port Sea Grill, which opened in 2002 at 93 Commercial St. in Portland. Argitis formerly owned the Falmouth Sea Grill, now Dockside Grill, at the Handy Boat Marina in Falmouth. “She’s a boater,” Soucy said, noting it will be familiar territory for her. Port Harbor Marine plans to put up the new building and Argitis will finish the interior as she wants it to be, from kitchen equipment to light fixtures to deck chairs, Soucy said. Argitis couldn’t be reached Wednesday to learn more about her plans for the Spring Point restaurant. The Old Port Sea Grill features a raw bar with a rotating selection of oysters, crab claws, shrimp and littleneck clams, according to its website. Appetizers include grilled scallops flavored with watermelon and lemon verbena and local mussels steamed in coconut milk, green curry and cilantro. Dinner entrées range from a cheddar burger for $12 to saffron-infused Atlantic halibut for $31. Port Harbor Marine will submit building plans to the city’s code enforcement office and Planning Board as soon as possible, Soucy said. Construction would start this spring or summer and be completed early next year. “Unfortunately, we won’t have a restaurant in there this summer,” Soucy said.